In the meantime, while New York City is on its way to becoming a bigger shithole than Detroit, Chicago and parts of California, corrupt bureaucrats and the State’s judiciary are plotting to indict President Donald J. Trump. This is outrageous and corruption at its worst. 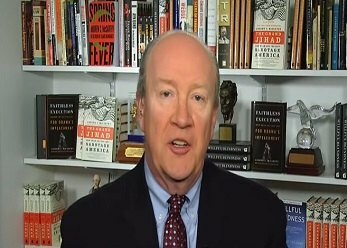 A former federal prosecutor and Fox News contributor Andy McCarthy said Sunday that “it’s clear” President Trump is the target of a Southern District of New York investigation and prosecutors will indict him. “The Southern District of New York case on Cohen, They are clearly going after the president on campaign finance violations, and I think if you read the sentencing memo the Southern District filed in Cohen’s case, it’s clear that Trump is the target and he’ll be indicted eventually,” McCarthy said on ‘Fox & Friends Weekend’. McCarthy wrote in an op-ed that the DOJ guidelines say they can’t indict a sitting U.S. president. The statute of limitations will run out if he serves two terms, McCarthy said. The Democrats made certain Republican Dinesh D’Souza was put in prison but when Barack Obama had a violation of $2 million, all his campaign had to do was pay a fine. The violations were arguably minor, however. Reporter Says Everyone’s “Already Getting Tired of Her [Elizabeth Warren]”! And that is just the front page. 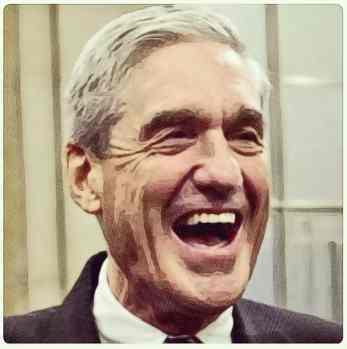 Robert Mueller and team has become unhinged. Part of me believes that Progressives taking the House has much to do with it. Thank goodness, they didn’t get the Senate, too. This is government corruption at it worst. In a shocking exclusive, The Daily Caller revealed that FBI agents raided the home of a recognized whistleblower who allegedly has evidence then-FBI Director Robert Mueller did not investigate potential criminal activity by Hillary Clinton, the Clinton Foundation and Rosatom, the Russian company that purchased Uranium One. The FBI dodged the whistleblower’s attorney Michael Socarras which is an act of serious misconduct, Socarras said. They contacted his client Dennis Nathan Cain directly and, on November 19th, they raided his home, advising him the documents he possessed were stolen. A federal magistrate Stephanie A. Gallagher of the U.S. District Court for Baltimore approved the raid but who knows what she was told. 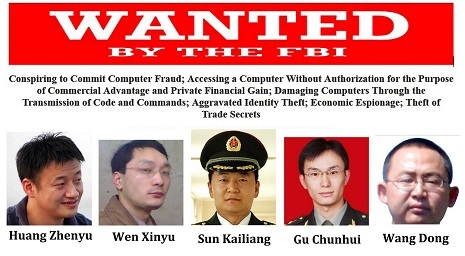 Recent revelations that China hacked Hillary’s illegal email set-up for most of the years of her service as Secretary of State, and probably beyond, are being underplayed in the media. But it’s a game-changer, for no longer is Hillary the central bad guy in this little criminal escapade. In fact, she may even become the Democrats’ designated fall guy to protect even more culpable, and important crooks. From the moment the world knew that Hillary was using an unsecured server, everyone knew of the security risks, and the possibility of a breach by the Chinese, the Russians, possibly even the Macedonians and Mongols. Even high school students could have listened in. The cavalier indifference, not to mention criminality, was stunning. And of course Barack Obama was part of those email exchanges, as well. I don’t care if all Barack will admit to was telling Hilary about his hopes for own his daughters’ weddings someday, just as Hillary blathered on about daughter Chelsea’s, the salient fact is, now that they both have been caught in this public lie that they even corresponded, that it no longer matters what Barack Obama or Hillary Clinton discussed in those emails. 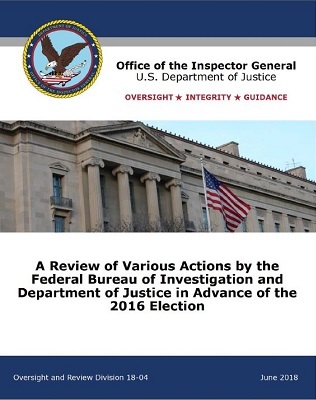 In the event you have not had the opportunity to peruse the t, A Review of Various Actions by the Federal Bureau of Investigation and Department of Justice in Advance of the 2016 Election released last Thursday, you can view it below, all 568 pages. If unable to view IG report above, you can also view it here and here. Feel free to check out last week’s post over at Grumpy Opinions entitled, FBI employee crudely slams Trump voters as ‘all poor to middle class, uneducated, lazy POS,’ IG report says. Hillary Clinton is a bitter woman. Every other day, Crooked is blaming someone else for her own failings. The latest is accusing women of being “sexists.” Yes, sexists. Apparently, that is the new Progressive blame game. Blacks who refuse to plant themselves on the Progressive plantation are not Black and women who didn’t vote for Crooked are sexists. 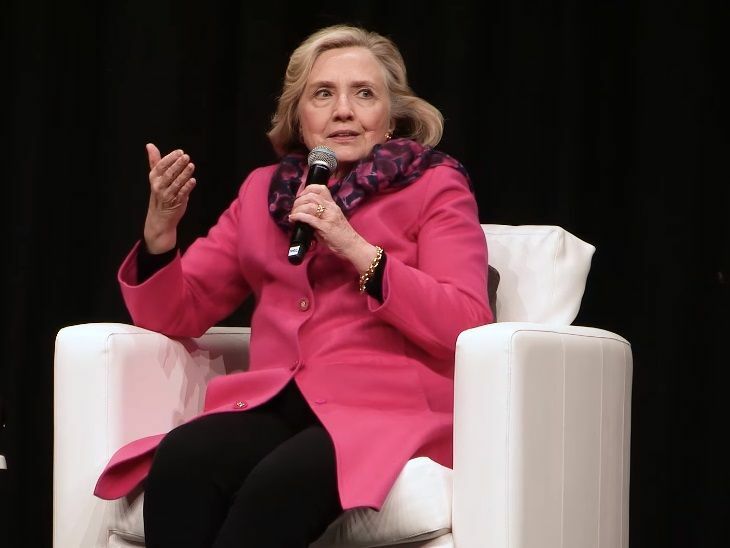 Hillary Clinton is in New Zealand undermining President Trump and complaining about all the people who cost her the election in 2016. High on her hit list, next to Jim Comey and the Russians, were sexist American women. She specifically said it’s true — at least in the U.S. — that women are sexist. It seems Mrs. Clinton went over to New Zealand to meet with the new female Prime Minister Jacinda Ardern. She had nothing nice to say about our President because trashing Trump is more important than country to Mrs. Clinton. They “hit it off”, according to the Herald, referencing the failed presidential candidate and the successful PM of New Zealand. Their meeting started off with a breakfast yesterday. That was followed by a dinner later in the evening. After mocking the President in the morning, Mrs. Clinton shared her thoughts once again with a broader public. She demeaned so-called sexist American women and President Trump in a foreign country. Wow, Crooked didn’t travel around this much when she was running for president.